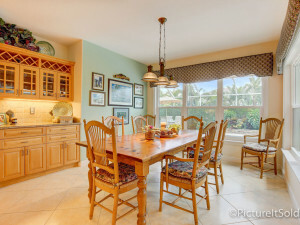 Picture It Sold FL | Real Estate Photography Palm Beaches > Blog > How does Picture It Sold Get Those Windows Like That? Each time our photographer shoots a photo, he or she is actually capturing seven images (or five for aerials). Those images are merged in the editing process to create one beautiful image in which all planes are properly exposed for and are in sharp focus. 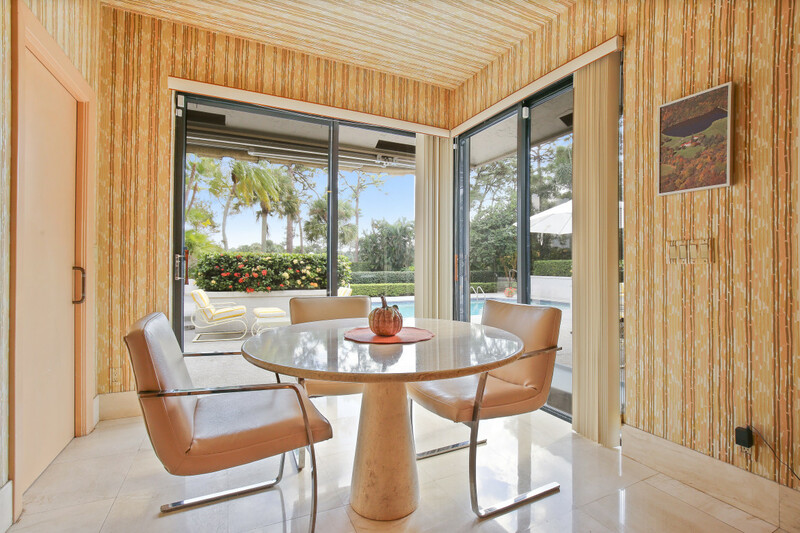 So, in this photo… In the foreground, you can see the detail in the furnishings… then all of the finishes … in this cool retro breakfast area… then you can see the sliders and then the pool and lush landscaping outside. In the distance, you can see the mature palms, too. HDR closely emulates what the human eye sees, so it’s naturally pleasing to the viewer. Call us today with any questions, or to book your shoot! (561) 600-3824. 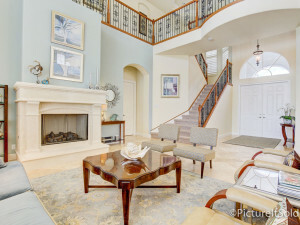 Picture It Sold Photography is a local team of five photographers and a support staff in our Jupiter office. 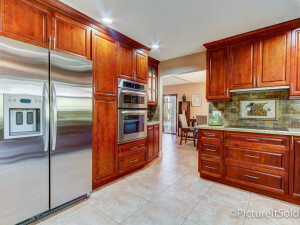 We shoot HDR photos, videos, aerials, and 3D tours for MLS listings in Palm Beach, Broward, Martin, and St Lucie Counties.